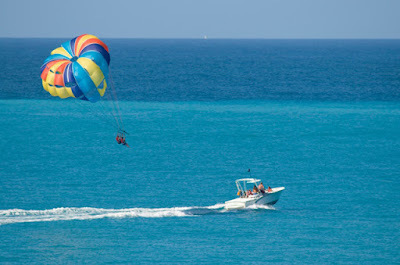 DESTIN, FLORIDA: Destin Parasailing is one of the top activities in the entire Florida Panhandle and it's easy to see why. From elite water sports to world class fishing and seafood, vacationers in Destin have limitless options for fun, relaxation, and everything in between! Add a stretch of some of the most beautiful coastline to the mix and you've got yourself a winner. 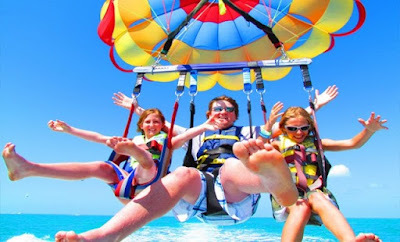 Not only is a Destin parasailing adventure objectively awesome, it's also a great idea for families. Ask a kid what his or her ideal superpower is and they will probably tell you, "flying." The next best thing short of being Superman, you and your kids will cruise high in the sky over scenic Destin Harbor, see Crab Island, and behold the magnificence of the Emerald Coast from above! Check out our list of the best deals on the most popular parasailing adventures in town and start saving today. Join the award winning staff at Destin X Parasailing for a ride of a lifetime! Enjoy brilliantly colored parachutes and cozy boats with the strength and security to float you and the kids over 500 feet high in the sky! Fly up to three people at once. Daily departures make this option a must have for families on a tight schedule. 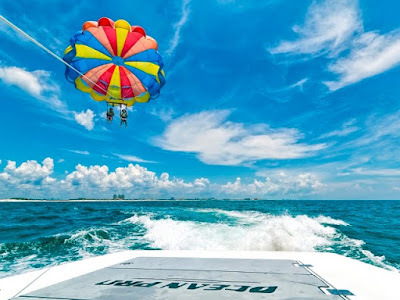 Head out with Destin X Parasailing and get the best prices on tickets right here, right now! Wet N' Wild Watersports Parasailing is a premium Destin parasailing party where you don't need an invitation to get in the door! Ok, so there are no doors, but you know what we're saying, right? Get wet and go wild with great deals on different trips and experiences for you and your family! So what are you waiting for? Hop on down to the docks with the whole gang and get ready to soar! Book Wet N' Wild Watersports Parasailing here online and save! Xtreme H2o Destin Crab Island Parasailing hits all of the marks. Stunning views of Destin and Crab Island? Check. Lots of H2o? That's a big yes. But is it really extreme? You had better believe it buddy! Xtreme offers a long list of amenities, from luxurious boats to 3 person rigs and a great captain and crew. Bring your friends and family and discover the Xtreme difference! Schedule your next Xtreme H2o Destin Crab Island Parasailing expedition online with TripShock for the best prices anywhere! Destin Parasailing Adventure. It's right there in the name! Have a blast as your float high in the air and take in amazing views of the local Destin scene. Oh, yes, and keep an eye out for the shadow of marine wildlife species like dolphins, sharks, and turtles. One of the most popular options and one of our favorite Destin attractions and tours, this parasailing adventure will have you coming back over and over and over again! 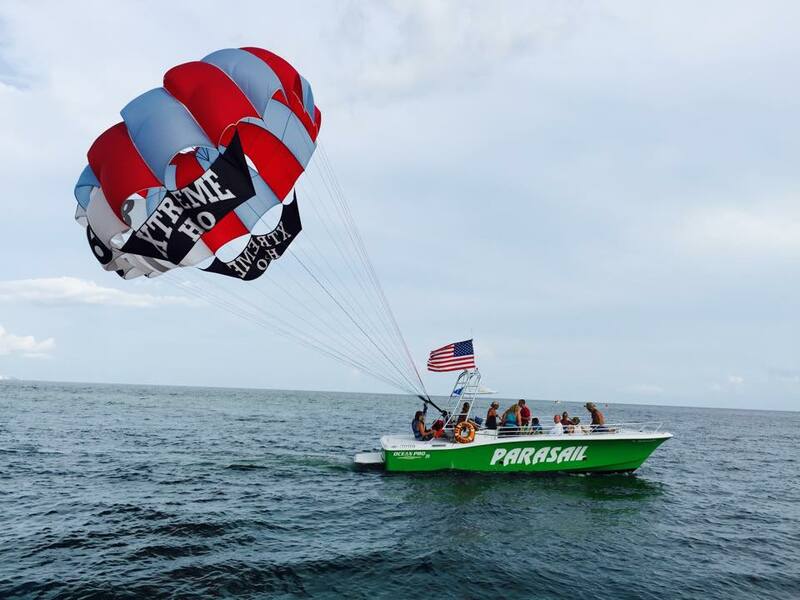 Snag your seat on the next Destin Parasailing Adventure boat online today! Great news for you, Destin parasailing is only one of hundreds of awesome local deals available on TripShock. Explore everything the city has to offer and find the best deals on a wide-range of other awesome Destin tours, activities & things to do here online today and get out there and start having fun!